A small group of scientific researchers led by European chemical engineers Franz D. Oeste and Renaud K. de Richter, are confident they have found a very strong, easily affordable solution to climate change. Unlike conventional climate solutions, theirs is to rekindle a series of natural processes that operated powerfully during each of the ice ages of the past million years. By increasing levels of tiny iron-oxide particles in the atmosphere, atmospheric methane could be depleted four times as fast as the natural rate via a natural photo-catalytic reaction induced by sunshine. A variety of emission methods may be used, including aircraft dispersion and through the exhaust flues of power stations, ships and remote, purpose-built dispersion platforms. The breakthrough discovery is of a variety of inter-related cooling mechanisms involving naturally occurring Iron Salt Aerosol. During the ice ages Iron Salt Aerosol processes cooled the Earth in numerous positive feedback mechanisms induced by far higher levels of wind-blown dust. These were sufficient for a thick layer of ice to be created in polar and subpolar latitudes. For example, the ice over Montreal in Canada was over a mile thick during the last ice age. While the ice ages are widely thought to have been induced by Milankovitch orbital variations, the ISA researchers suggest that the resultant cooling induced a positive feedback, in which increased levels of iron-containing dust blew into the air, inducing Iron Salt Aerosol cooling processes. Strengthening of climate-vital Earth systems. Unfortunately, warming conditions are currently amplifying each other at the poles, especially the Arctic. This is weakening overturning ocean circulation, essential for healthy ocean life, leaving the oceans increasingly stratified. Severe ocean stratification and attendant loss of overturning circulation are widely thought to have been a major cause of past mass extinctions, including the End-Permian mass extinction 252 million years ago that wiped out 95% of all aquatic life. See current Hothouse Earth Cycle below. Rapid cooling would be provided via the following four mechanisms. The first three increase albedo (reflectivity). Iron Salt Aerosol is a hydrophilic aerosol composed of particles and/or droplets between 0.1 – 1 µm diameter. These act as cloud condensation nuclei, increasing the formation of long-lived, bright tropospheric clouds. These bright clouds cool the earth by reflecting more of the sun’s heat back out to space. Given that bio-available iron is the oceans’ most limiting nutrient, even tiny amounts of rained-out Iron Salt Aerosol lead to increased surface phytoplankton mass. White calcite-armoured coccolithophore algae brighten the ocean surface. Phytoplankton naturally emit sulphur and halogen organic molecules that oxidise in the troposphere, activating Iron Salt Aerosol to produce further cloud condensation nuclei. This leads to further marine cloud brightening. When the sun’s energy is used to make combustible compounds, it follows that heat energy is converted to chemical energy. A cooling effect is thereby produced by increased phytoplankton and growth. In addition, 30% of terrestrial plant growth is limited by bio-available iron, so the additional iron from rained-out Iron Salt Aerosol would also increase chemical cooling from additional terrestrial plant growth. A large fraction of dead organic biomass re-oxidation takes place far from the location where it originally grew. Phytoplankton litter is mostly oxidised deep into the ocean where it becomes a stable constituent of ocean sediments or crust (see later), and a sizeable fraction of dead terrestrial biomass runs off into the oceans, undergoing a similar process. Increased terrestrial plant growth would increase total evaporative cooling from increased leaf transpiration. Immediate benefits of rapid cooling would be a reduction of hurricane intensities and protection of coral reefs from bleaching events. Over time, further cooling would occur when greenhouse gas concentrations decrease sufficiently to turn Earth’s energy imbalance negative (see next section). The two most important benefits of long-term cooling are stabilisation of permafrost and restoration of overturning ocean circulation. Most warming from greenhouse agents exists in the troposphere, which is where Iron Salt Aerosol application is proposed. In the presence of sunshine and naturally occurring sea-salt-generated hydrogen chloride, Iron Salt Aerosol emits chlorine atoms (free radicals) into in the troposphere. Chlorine atoms are a powerful oxidising agent, and in enhanced quantity remove tropospheric methane and ozone up to 250 times faster (depending on humidity) than oxidation by °OH radicals. Paradoxically, the protective stratospheric ozone layer 30 to 50 kilometers up would be further protected. 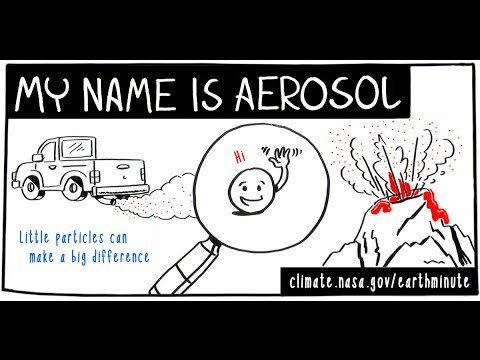 This is because Iron Salt Aerosol reduces levels of chloro and bromo methane, which are ozone destruction catalysts. This strengthening of the stratospheric ozone layer would increase its UV radiation absorption, meaning a reduced UV-induced warming at the Earth’s surface, reducing global warming. Soot and smoke aerosol particles are also powerful atmospheric warming agents. However, Iron Salt Aerosol induces surface-oxidisation by Fenton reactions, making these particles more readily washed out by precipitation. Iron is an essential element in important microbial enzymes that catalyse methane oxidation. Iron Salt Aerosol increases the supply of bio-available iron to methane-oxidizing microbes in wetland soils and sediments. This helps minimize their methane emissions. The Iron Salt Aerosol-induced cooling effects would decrease the temperature on the surface of the boreal and ice-covered surfaces of the globe. This would protect permafrost and methane clathrates from thawing and avoid potentially enormous (hothouse-inducing) methane emissions into the atmosphere. Iron Salt Aerosol-induced nutriation of both phytoplankton and terrestrial vegetation increase ocean surface CO2 absorption capacity. There are three different mechanisms by which this occurs: assimilation, alkalinization and surface cooling. The limiting nutrient for ocean phytoplankton during ice ages and interglacials alike, has been bioavailable soluble iron. However, during the ice ages several times as much dust blew onto the oceans, for instance providing 15 to 20 times as much soluble iron to the Southern Ocean than today. That increased level of iron sustained a phytoplankton mass that was able to draw down atmospheric CO2 to half today’s level – around 200 parts per million. It is a lucky coincidence that once Iron Salt Aerosol iron has done its job in the atmosphere, it rains into the oceans (and on land) in bioavailable form. In mixed, fertilised oceans additional bio-available iron enables increased healthy growth of phytoplankton and its downstream food-web, with a consequent strong drawdown of atmospheric CO2. Up to 30% of terrestrial plant life is also growth-limited by a lack of bioavailable iron. Plants fed by foliar fertilization from Iron Salt Aerosol increase their root activity, extracting nutrients from the ground by active dissolution of silicate rock and minerals. This extracts CO2 from the atmosphere, producing hydrogen carbonate. Phytoplankton conversion of hydrogen carbonate, sulphate and chloride by assimilation to organic compounds leaves an alkaline surplus in the ocean surface. Sulphur and chlorine compounds emitted by phytoplankton become oxidized in the air, to become strong acids. These acids dissolve terrestrial rock minerals to produce alkaline water-soluble sulphate and chloride salts that wash off into the oceans. Terrestrial plant root ‘weathering’ of silicate rock generates hydrogen carbonate that is transported by rivers to the ocean surface, providing it with alkalinity. Within vast ocean crust aquifers (see next section), sulphate and hydrogen carbonate react by hydrogen reduction to become sulphidic and organic compounds, generating alkalinity (albeit some of this becomes neutralised). In addition, alkaline silicates are weathered by carbonic acid to silica, hydrogen carbonate and carbonate rock, producing a surplus of alkalinity. Cooler water at the ocean surface is able to accommodate a higher concentration of dissolved CO2. Continental rock weathering is induced most efficiently by ice cap and glacier weathering. Iron Salt Aerosol-induced cooling increases glacier lengths and ice cap surface and thickness, which increases abraded glacial flour (rock dust). One fraction of this flour is transported by surface water run-off directly into the oceans. Another is blown into the atmosphere where it produces Iron Salt Aerosol effects, before entering the oceans by precipitation. 3. Strengthening climate-vital Earth systems. Terrestrial life depends on the oceans remaining healthy. Ocean health depends on deep and surface waters remaining well mixed by strong overturning circulation that moves fertilising nutrients from the deep to the surface, and oxygen and CO2 in the opposite direction from the surface to the deep. 1. A slowing of net polar ice melting would help prevent the encroaching ocean stratification that is being caused by fresh melt water capping ocean surfaces, which disturbs the down-flow of the North Atlantic Deep Water current. 2. Increased winter production of Antarctic ice from ocean water would induce stronger brine production – the essential source of Antarctic Bottom Water current. Carbon exists in the ocean as life (plants, animals, fungi and microbes) and dissolved substances, both organic (mainly humic acids) and inorganic (mainly hydrogen carbonate). Solid carbon originates from a variety of biological sources, and arrives at ocean sediments in many forms, such as bacterial carbonate excretion, coccolithophore armours, mussel and snail shells, coral carbonate and humic matter. Most sediments contain a suboxic to anoxic milieu, containing sulphides, ammonium, methane hydrate and soluble manganese, iron components and a huge fraction of live microbial organic carbon. Each year, as the Earth’s tectonic plates move apart at mid-ocean rifts, around 20 km3 of ocean crust is created as solidified basalt rock and/or olivine-rich alkaline mantle rock. Being highly creviced, ocean crust acts as a huge aquifer through which ocean bottom water is pumped by strong convective forces with a flow of volume comparable to all the world’s rivers combined. It is a warm habitat ideal for microbial life, which produces humic substances probably similar in mass to the humic substances in the ocean above. The crust is also alkaline and produces very large volumes of hydrogen. The resulting hydrogenation creates solid inorganic, condensed organic and solubilized organic carbon compounds that remain a stable constituent of sediments and crust for millions of years. Strong overturning circulation ensures that ocean water continues to undergo this cleansing process inside ocean crusts. As demonstrated, this enhanced Iron Salt Aerosol proposal is very different from the Ocean Iron Fertilisation experiments carried out since the 1990s. For a comparison, it is like the difference between sprinkling salt onto a meal and being forced to eat a kilogram of salt. Ocean Iron Fertilisation experiments put iron sulphate solution directly into the ocean, which was spread by ships’ propellers. Concentrations were several orders of magnitude higher than those modelled for Iron Salt Aerosol deposition. The Iron Salt Aerosol proposal specifies an ocean concentration of around 600 g Fe/km² per year, which is much less than that provided by the dust blown onto them during the ice ages. In addition, Iron Salt Aerosol precursor application is proposed to the troposphere where it will have an immediate cooling effect, not directly to the oceans. Anoxia from increased phytoplankton mass. An accelerated downward ocean current carries more oxygen. Cooler water contains more oxygen. A significant portion of phytoplankton litter and its derivatives either fall rapidly to the ocean bottom unoxidized or end up consumed into a downstream food web of higher animals, whose source of O2 for oxidation is surface air, leaving dissolved oceanic oxygen undepleted. The ocean crust and sediments have ample capacity to chemically transform both organic and inorganic carbon to substances that remain stable there for tens of thousands of years. A long list of potential concerns are addressed on the Technical Q&A Safety Page.